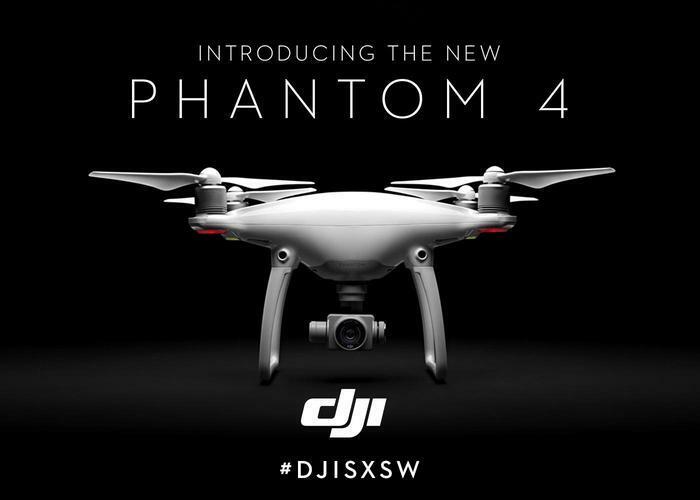 For the 2016 edition of the annual music slash film slash interactive festival South by Southwest (SXSW), DJI is bringing the Phantom 4 to life with the help of more than 50,000 visiting tech virtuosos, filmmakers and media influencers. Together, we will not only showcase the newly launched Phantom’s groundbreaking intelligent features but also lets people control it by motion and by sight.. Step into the DJI booth at Southbites any time between Saturday 12th and Monday 14th of March. If you've any trouble finding your way, simply look out for our large, backlit DJI and keep your sense of smell tuned for the great cookups offered next to us! Using the best new motion-sensing technology and projectors, we're letting you experience innovative new features like ActiveTrack and TapFly — use your hands and feet to tell the life-sized Phantom 4 to navigate it and point the camera. Or join the Phantom 4 in a hologram and share the photo straight to social! By taking part, you'll also get to be in a crowdsourced Phantom 4 mosaic that brings together other visitors at our booth, who can each print their own dronie on a 10” by 6” canvas. We're also bringing you the real deal. 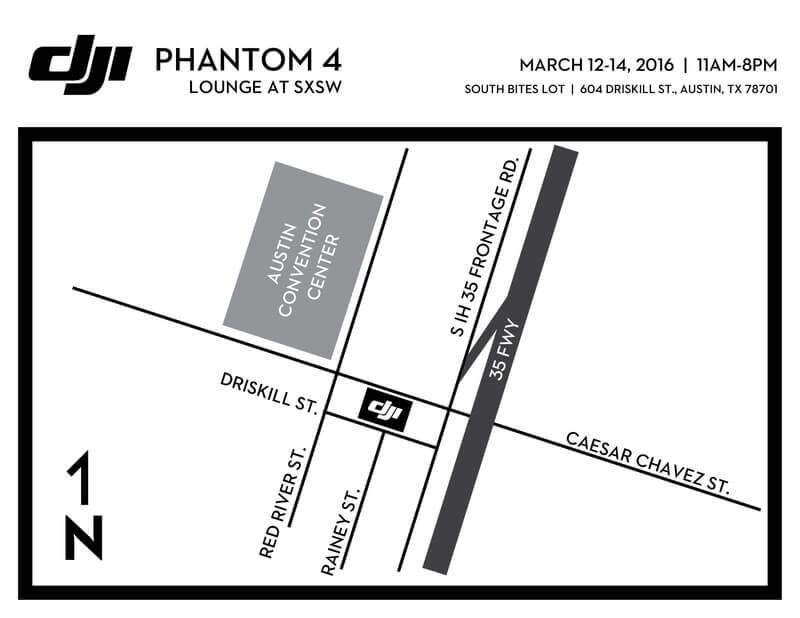 At SXSW, you'll get the first ever chance to see the new Phantom 4 with your own eyes and fly it yourself in our Drone Cage. This before it is available in stores or even shipped out to pre-order customers. Come by and fly, and count yourself among the world's first Phantom 4 pilots! If you feel the itch to get one for yourself, just signup for the exclusive #DJISXSW Phantom 4 giveaway at one of our four iPad kiosks and you might just end up being the lucky one. There's also a lot of other DJI goodies at stakes to make sure that there's as many winners as possible at the DJI booth. The future is full of possibilities, and we're showing this with an arsenal of proven products — with us, we also have the Inspire 1, the handheld Ronin filmmaking system, the incredibly compact Osmo, and much more. We hope to see you at SXSW this weekend and remember — share your experiences with #DJISXSW!